When World War II came to an end in 1945, the Allied powers (USA, Britain and the Soviet Union) held conferences to discuss how Germany should be divided up upon its defeat. The first conference was held at Yalta in February of 1945 and the second was held at Potsdam in July of the same year. 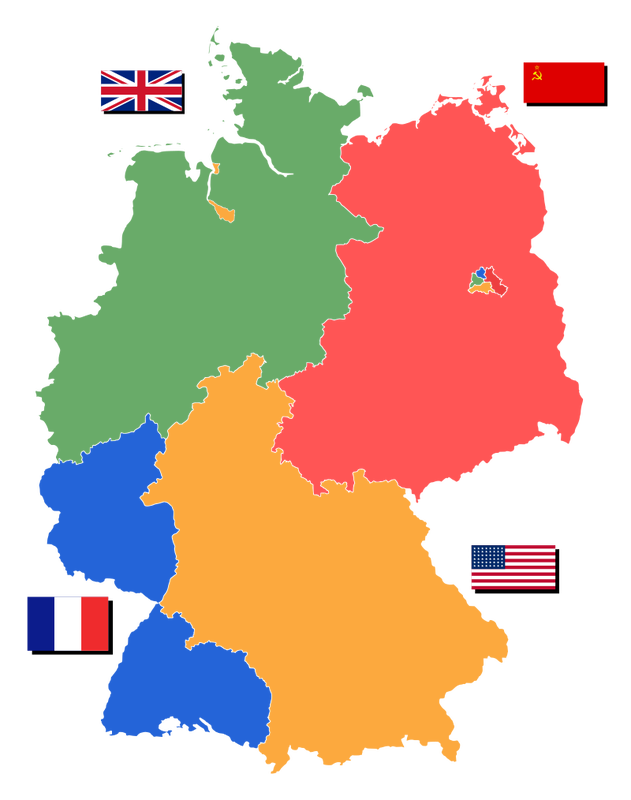 The agreements ultimately led to the splitting of the defeated Germany into four “allied zones” with portions controlled by the Soviet Union, USA, Britain and France. After the split, Berlin (the capital of Germany) was located entirely in the Soviet Union controlled portion of the country. Due to the agreements at the Yalta and Potsdam conferences Berlin was also split into four portions between the Allied powers. The Soviet Union was unhappy with this arrangement and sought to control the entire city of Berlin. Firstly, the Soviet Union had been invaded twice by Germany in recent history and they had no interest in the promoting the reunification of Germany, which is what the United States, Britain and France were attempting. As well, the Soviets were concerned about the promotion of a capitalist city within the middle of their zone. As such, they decided to attempt to capture control over the entire city of Berlin. 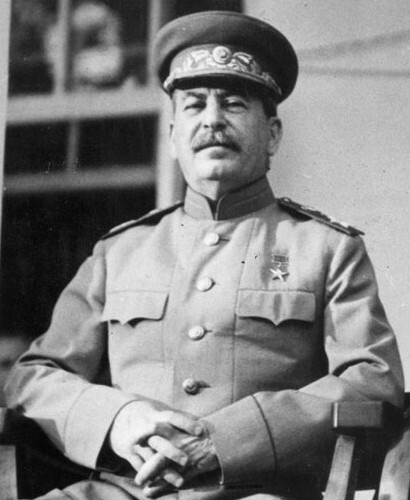 Joseph Stalin (the leader of the Soviet Union at the time) could not forcibly remove the other Allied powers from Berlin, as he had to acknowledge that the United States had the atomic bomb. He therefore, in 1948 ordered the closing of all rail lines, canals, and roads that entered West Berlin through the Soviet sector. This “blockade” of the city effectively cut off West Berlin from food and fuel supplies. As far as the Allies were concerned, withdrawal from the city was not an option. In particular the United States was afraid that if they withdrew from Berlin, then communism would run rampant in the rest of Europe. For example, President Harry Truman declared “We shall stay… period.” Using military force to strike back against the Soviet blockade was not a wise decision as it increased the risk of turning the Cold War into an actual war. Finding another way to re-provision the city seemed to the Allies to be the only reasonable response. The only way for the Allies to supply their sectors in Berlin was to fly in supplies. Stalin would not dare to shoot down Allied planes as he would risk the chance of war with the United States and its atomic arsenal. This project was code-named “Project Vittles” and became known as the Berlin Airlift. 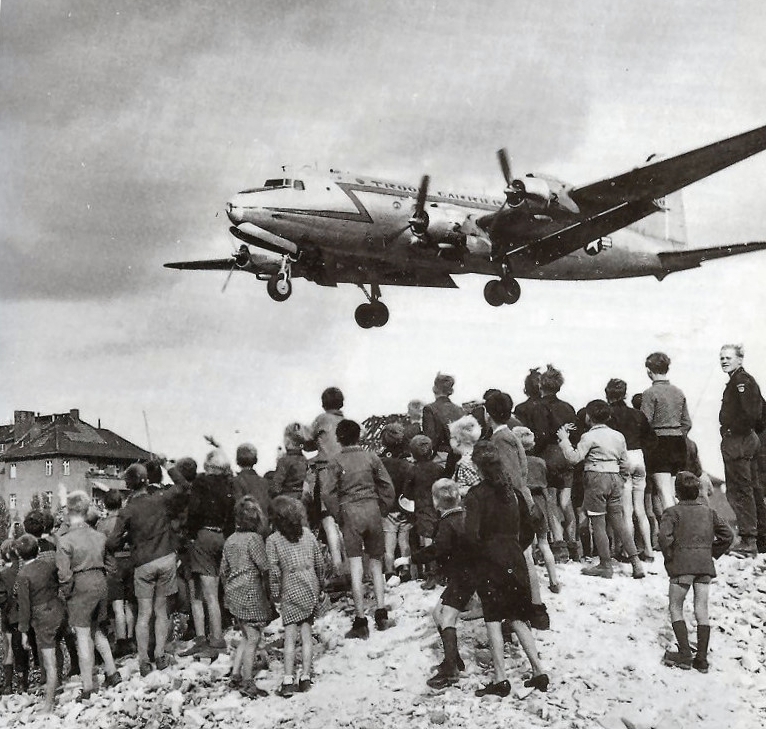 At the beginning of the operation, the planes delivered about 5,000 tons of supplies to West Berlin every day; by the end, those loads had increased to about 8,000 tons of supplies per day. The Allies carried about 2.3 million tons of cargo in all over the course of the airlift. During the airlift an Allied plane took off or landed in West Berlin every 30 seconds. ​By the spring of 1949, when it became clear that the Allies would stand firm and not give in to Stalin’s tactic, Stalin decided to lift the blockade. The Allies would maintain control over their sectors of Berlin. The legacy of the event was that it increased Cold War tensions between the United States and the Soviet Union and made the Soviet Union look to the rest of the world like a cruel enemy. It also helped the Allied powers solidify their relationship against the Soviet Union and would eventually lead to the creation of the North Atlantic Treaty Organization (NATO) the agreement that sought mutual protection for Allied powers against the Soviet Union.